Sometimes, this game that can take your breath away in the best possible way, can be heartbreaking in the cruelest of ways. Today, Derek Dorsett was forced to face the reality that the injury he had fought so hard to overcome for nearly a year, had made it’s way back to take away the game he loves. Life after hockey became today instead of years away. It’s absolutely heartbreaking to see a player forced to hang up the skates due to an injury or circumstances out of their control. It’s also incredible that despite the heartbreak of walking away from the game, that Dorsett was able to make this difficult decision BEFORE the injury got to the point where he was unable to walk away or worse, taking more than just the game he loves. Some things are bigger than the game. This post is for Derek. This is not the ending that your career was supposed to have. Your life after hockey was supposed to still be a few years away, not today. Today, sharing this news with the rest of the world must have been one of the most difficult things you’ve ever had to do, but it was the right decision. Some things are bigger than the game. I hate that we will no longer get to see your signature goals that came in the best way, and often took opponents by surprise. I hate that we will no longer get to see you battle on game days. I hate that this is how it ends. I hate the unfairness of this outcome. I hate that after all the work you put in and the career highs season you were on pace for, that this is the ending. I hate that many didn’t always see the intangibles you brought to the game or the difference maker that you were for the Canucks. As much as I hate this end, I understand that this decision was about more than the game. Life is about much more than hockey and you put your health first. Not an easy decision, but absolutely the correct one. You are giving yourself an incredible future with your family. I will never forget what you’ve done during your time with the Vancouver Canucks, you’ve left an indelible mark on the franchise. The ending may have come much earlier than you desired but you DID IT. You lived the dream and played for 10+ years in the NHL. That’s a pretty incredible feat that NO ONE can ever take away from you. You were the type of player that fans loved to hate if you were on the opposition and loved to have at the heart of their team. It’s not the ending you or your career deserved. You left everything on the ice. You gave it your all every single shift, playing wherever coach put you in the lineup. You always had your teammates backs, never backed away from a challenge. You were a leader to the younger players, a friend to all, a pillar in the community and always made time for the fans. Your heart, determination, dedication and perseverance inspired so many to see the power of never giving up and achieving your dreams. You will be missed by the team, opponents, and fans league wide. Thank-you for everything. Thank-you for everything that you did for the team, the organization, the community and the fans. Your playing days may be over now, but I hope that somehow, not too far down the road, that you are able to stay a part of the game that has shaped you. And maybe today, that seems impossible to comprehend, but there are a lot of areas, that you’d be amazing. Maybe behind the scenes, whether that’s coaching/development/scouting OR even giving colour commentary a shot(I think a lot of people would enjoy hearing your take on the game!). All the best as you move forward and navigate the next step on this journey! One thing is certain, wherever you go, whatever the next step becomes, you have all of Canucks nation supporting you. 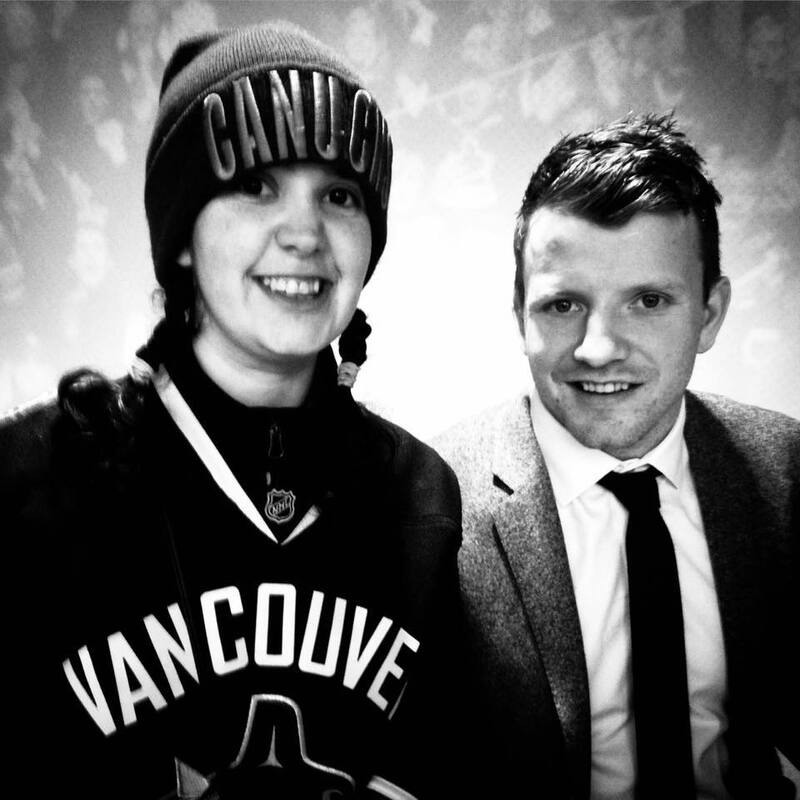 And know that to this fan, you’ll always be a Canuck. Vancouver Canucks: From the Russian Rocket to the BROCKET. Sometimes, it’s difficult being a Canucks fan, not because of the team but because of the lack of National coverage when it comes to the team. Rookies come and go in the league, it’s the nature of the game. And in Vancouver, it has been a long while since we’ve had a rookie that could score with a flourish(think Pavel Bure aka the Russian Rocket). In Toronto, they have Auston Matthews and many more young players as part of their current core. I know that the East Coast loves Auston Matthews and rightly so, he’s an incredible player and will be for many years to come, but that doesn’t mean that the only coverage that fans of hockey want to see is purely Toronto highlights. On the West Coast, we have a player that has been quietly excelling this season that is not getting the same amount of coverage as Matthews but continues making waves with his emergence every single game; Brock Boeser. As it stands, he currently sits at 26 points and counting in his first 28 career games. The Canucks have had some good and bad games this season BUT on the nights when they’ve had good games that Boeser has been at the center of, on the west coast, we do not get the coverage you’d expect. Most nights, it’s minimum highlights if any followed by extended highlights of Auston Matthews and Toronto. I understand that Matthews is an incredible player, BUT when the late game in Vancouver ends and it’s 1AM on the East Coast, you’d expect fans on the West Coast to get to see extended highlights from the game that just finished not one that ended 5 hours prior. Everyday, in Vancouver the legend of Brock Boeser continues to grow. He is exceeding any and all expectations that the media and fans alike had for him heading into this season. We all knew he had talent and one heck of a shot but aside from a handful of NHL games last year, could he possibly live up the hype that had been written? We saw glimpses of the possiblities throughout the pre-season but still there was an uncertainty if Brock Boeser could produce when it came to the NHL style. Could he bring his game into another gear? Would he settle into the lineup and be assigned the right line mates, able to find a chemistry with other young Canucks players? Yes, yes he could and since drawing back into the lineup in the 3rd game of the season, he was been quite a story to witness. He has amassed 21 points in 19 games and counting this season. Coach Green has put Boeser on a line with Sven Baertschi and Bo Horvat. As a line they have a combined: 54 points (Boeser: 21, Baertschi: 17, Horvat: 16) over the first quarter of the Canucks season. Not bad, not bad at all. Instead of wondering if he is capable of succeeding in the NHL, new questions are popping up. How long can he keep up his near point per game pace up? Can he break Pavel Bure’s rookie record of 60 points(34 goals, 26 assists) in 65 games? In 19 games, Boeser has 21 points and counting on the season, if he keeps up this pace, it is certainly possible that he could surpass the Canucks rookie record set by Pavel Bure. One thing is certain, whether you are on the East Coast or the West Coast, Boeser mania is in full effect in Vancouver and looks to be around for many years to come.